Home Tags Posts tagged with "russian annexed crimea"
A huge explosion at a college in Russian-annexed Crimea has killed at least 18 people and wounded dozens more. 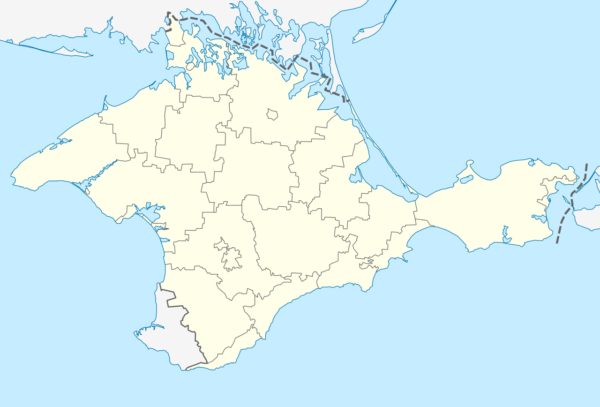 According to officials, an “unidentified explosive device” detonated at the technical college in Kerch, where Russia has built a bridge between the peninsula and Russia. Crimea’s Russian-backed leader Sergei Aksyonov said a student was responsible for the attack. Sergei Aksyonov told Russian state TV the student had killed himself. A Russian National Guard official branded the incident as a deliberate “terrorist act” caused by an improvised explosive device. According to a local official, most of the blast victims were students of the technical college, which is a vocational school for 850 teenagers. Four military planes were ready to evacuate the wounded and military hospital facilities were ready to accept victims if necessary, Russian Defense Minister Sergei Shoigu said. Investigators released a statement saying an explosive device filled with “metal objects” had detonated in the dining area. The director of the college, who had not been at the scene at the time of the attack, told Russian media that unknown armed men had broken into the building. She compared it to the school siege of Beslan in 2004, during which about 330 people died. Sergei Aksenov told Tass that reports circulating on social media of a shooting after the explosion were untrue, and said the situation on the scene was calm. The leader also announced three days of mourning for the victims. The schools and pre-schools were being evacuated in the city after the blast, Reuters reported. Crimea, officially part of Ukraine, was seized by Russia in 2014 and annexed after a disputed vote that was widely condemned by the international community. The speaker of the Russia-backed Crimean parliament, Vladimir Konstantinov, suggested Kiev may have been behind the explosion, saying “the entire evil inflicted on the land of Crimea is coming from the official Ukrainian authorities”.